The lights dim, the music starts playing, and everyone is silently waiting for something to happen as anticipation ensues. One single light shines on the entrance, as the first model steps onto the runway. Welcome to The Silver Needle Runway. 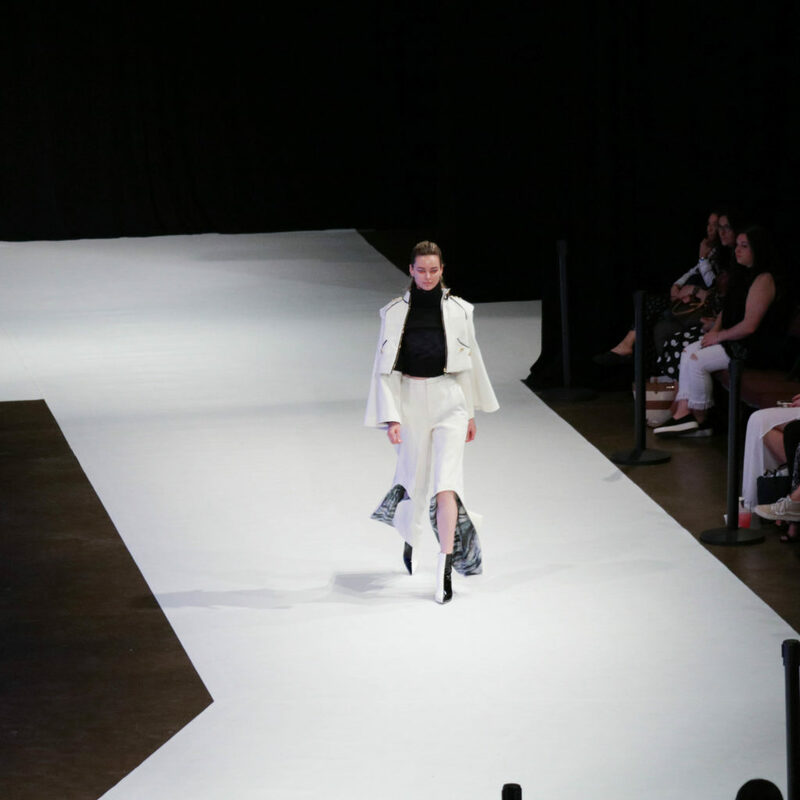 Marist College’s Fashion Program is gearing up for The 33rd Annual Silver Needle Runway, also called SNR33, is set to take place on May 10, 2019 in Poughkeepsie, New York. SNR33 is a spectacular runway show like no other, highlighting collections of the talented Marist design students, class of 2019. This year, models will strut down the runway wearing unique women and menswear designs, initially created from the inspiration of the designers’ thesis portfolios. Fashion Show Production students produce the event and turn it into an innovative and memorable occasion. The production team is made of Fashion, Communication and Digital Media students who create a seamless fashion extravaganza. Some students work on marketing and promotion, while others plan the runway layout, backstage management, model casting, staging decors, music playlists and invitations. Together, they execute ideas while following the annual theme, contributing to an unforgettable experience for the audience. Fashion Show Production students receive hands-on experience that they may apply to future internships and careers. On the day of show, the expertise, professionalism, and creativity live up to the event’s long lasting legacy. The Silver Needle Runway show has grown tremendously since its debut in 1984. Two thousand guests – including industry professionals, press, Marist friends and family, and the Hudson Valley community – attend the occasion, which is also live-streamed worldwide. 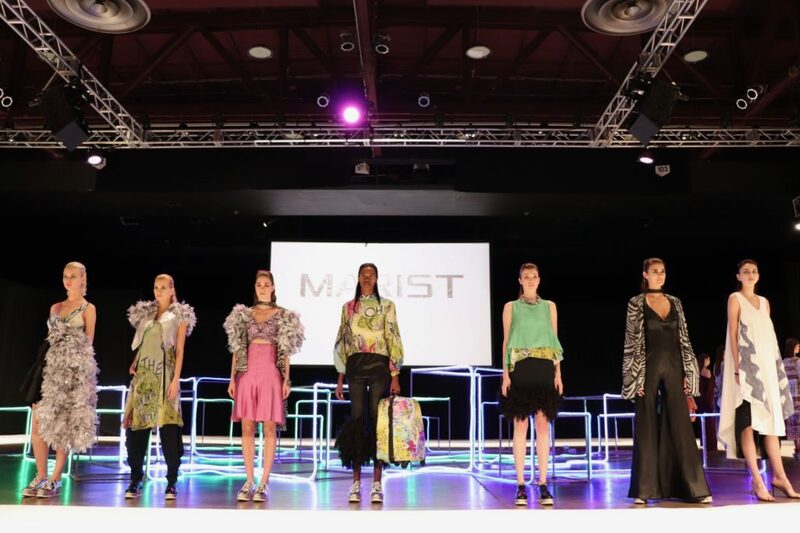 Marist Fashion faculty member Juan-Manuel Olivera-Silvera serves as the Show Director and took over three years ago to bring innovation and expertise. He followed the steps of the late Richard Kramer, who developed much of what Fashion Show Production at Marist is today. SNR33 is dedicated to the memory of Mr. Kramer. SNR33 also coincides with Marist Fashion’s new state-of-the-art home, the Steel Plant Studios. The new building opens a new chapter for the Program and is an opportunity to reflect on the future of fashion, a theme of this year’s runway show. This year’s 13 graduating designers have worked tirelessly to create their collections; all unique in their inspirations which include music, architecture, religion, literature, and more. Prior to the occasion, a panel of Fashion Professionals judge the collections and awards merit to the student designers who truly stand out on the day of the show. These Professional Designers, Chief Executive Officers, Product Development Managers, and members of the Council of Fashion Designers of America review the collections in the categories of Outstanding Portfolio, Outstanding Garment, Outstanding Collection, and Outstanding Concept. To attend this captivating event, you may purchase a ticket to The 33rd Annual Silver Needle Runway via Ticketmaster.com . To keep up with SNR33, follow @maristfashion on social media. We hope to see you on May 10th! If you cannot join us, please email marissa.delledonne1@marist.edu to receive our livestream link or for any questions or inquiries. CEOWorld ranked the program #23 in its annual Best Fashion Schools in the World for 2019. Fashionista.com #21 in their Top Fashion Schools in the World for 2018. FashionSchools placed Marist Fashion at #11 in their 2018 Fashion Design School and College ranking.